Welcome to Jerryworld and an all-access pass to the most valuable franchise in the NFL, the Dallas Cowboys. Many books have been written about the Cowboys, but there's never been an account like this one. How 'Bout Them Cowboys? 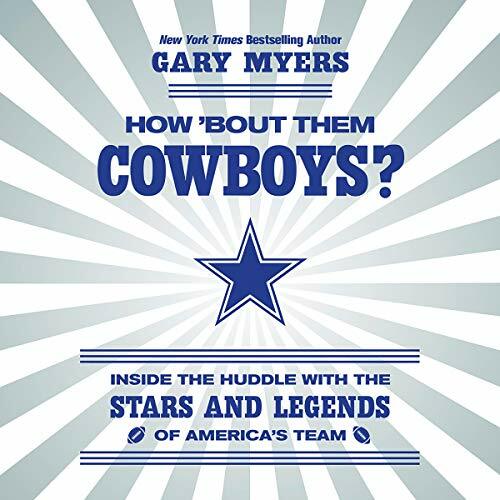 tells the unofficial history of the NFL's most successful franchise, with special access to its outspoken owner, Jerry Jones, his son Stephen and daughter Charlotte, and dozens of interviews of current players, coaches, and characters from across Cowboy Nation. While tracking the successes and controversies of Dak Prescott and Zeke Elliott on and off the field, How 'Bout Them Cowboys? remembers the legends of previous generations, and explains why the star on the helmet has become iconic, and how a little team from North Texas has evolved into a global $5 billion brand. Primed for their make-or-break 2018 season, How 'Bout Them Cowboys? delivers a fun and surprising account of America's team, its greatest celebrities, its mercurial management, the vicious rivalries, and the enduring saga that makes this the most popular and polarizing team in sports. If you have any questions about this product by Hachette B and Blackstone Audio, contact us by completing and submitting the form below. If you are looking for a specif part number, please include it with your message.